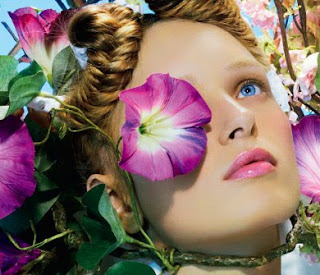 Shift your look to the sunny side of the street but keep face and lips soft, lightly-tinted, everyday sun-safe! Choose from five neutral SPF 15 shades of new Studio Moisture Tint, and five soft-as-air shades of new Suntints SPF 20 Liquid Lip Balm. Another not so great collection by M.A.C or so I thought. When I saw the promo pics for this a while back, I will admit it didn't stir an ounce of excitement in me. Not one little bit. I just thought lip balms ... Well that's going to be great. I take back what I thought. I plan on getting the Studio Moisture Tint which I'll do in a Part 2 blog. 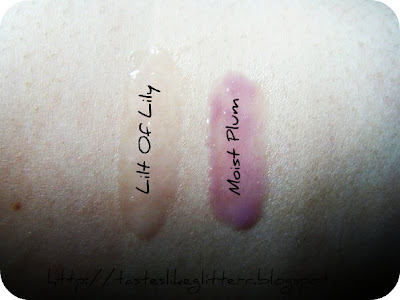 Moist Plum is a light lilac with very fine pearl.